Though the sun was shining today, the snow still managed to steal the spotlight and dance to the wind. A cold dance that seemed to be mocking the birds as they sought refuge from the wind. Such a contrast to this past weekend when we were sure we had seen the last of the snow. have seen a little peek of the Spring wreaths I made this weekend. I used artificial flowers and leaves from the Dollar Store. 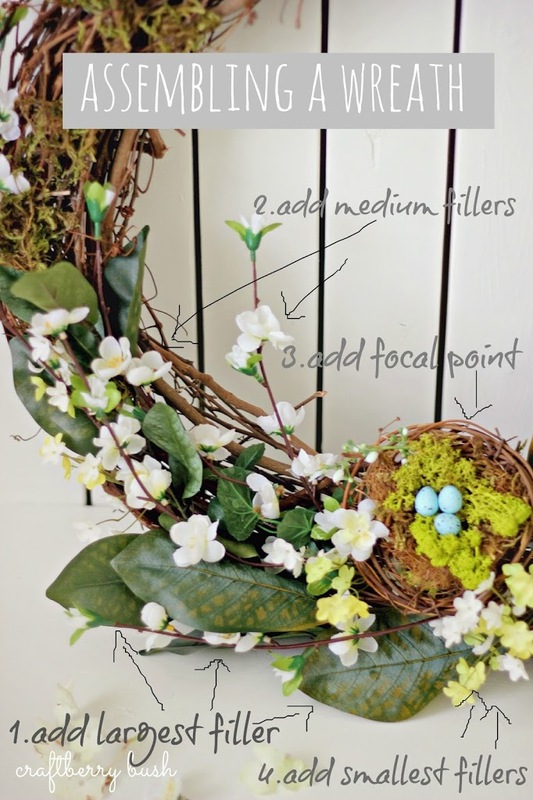 The following steps are usually the ones I follow to make my wreaths. 1. Add your largest foliage first. They will serve as the backdrop, in this case the magnolia leaves. 2. Add your medium fillers (peach blossoms), making sure they are evenly distributed on both sides. 3. 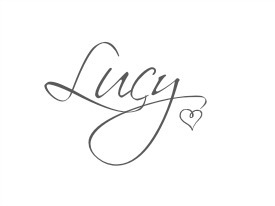 Add focal point, be it a large flower or a bow. In this case, the focal point is the nest. 4. Lastly, add your smallest flowers or foliage. 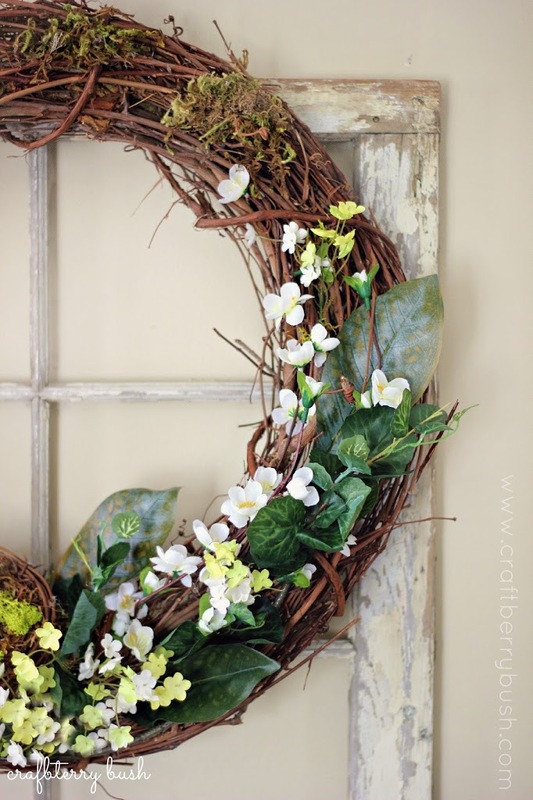 These will fill in any empty spaces and add interest to the wreath. 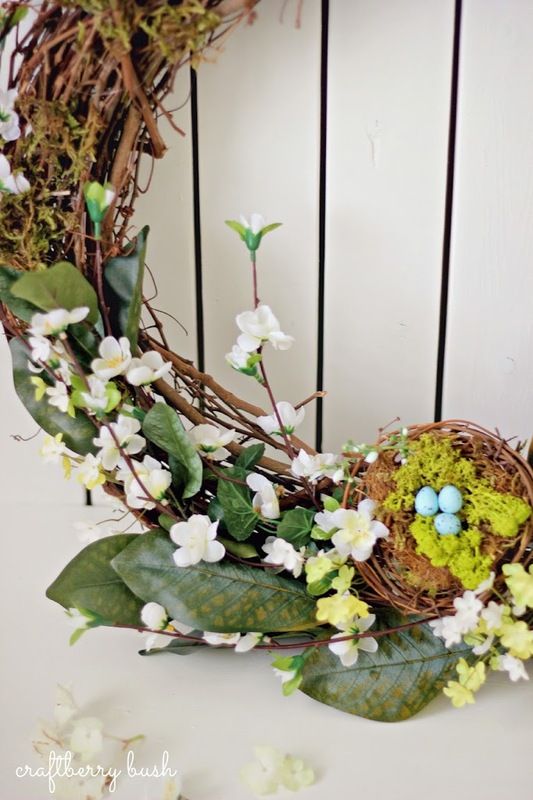 I wanted to make a wreath to display through Easter, Spring and into the Summer. Our front porch has double doors, so I needed something a little more frugal. 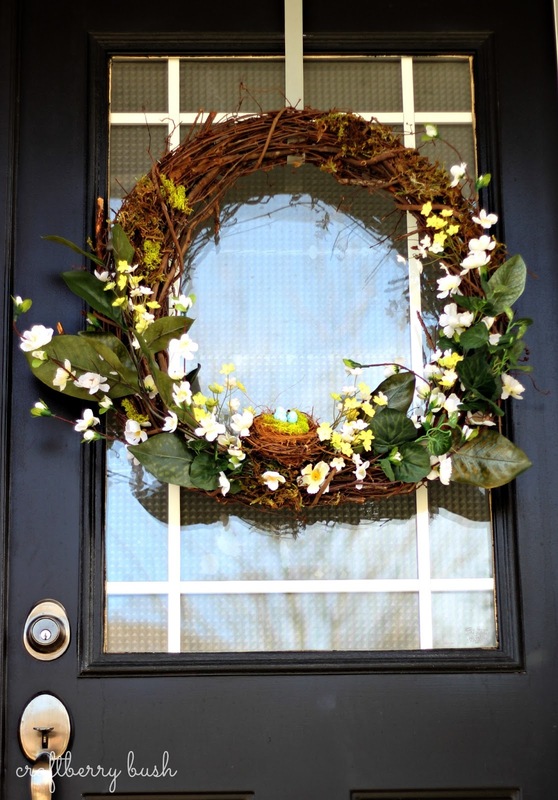 I already had one of the grapevine wreaths. So I ventured to Michael’s to buy a second, which happened to be 50% off. I then purchased some peach blossoms, magnolia leaves and a few little flowers as filler from the Dollar Store, spending about $10.00. I only took a couple of photos of the front doors as once again, I found myself in my pj’s without a coat looking like the crazy neighbour. I can’t wait to be able to put together our front porch planters without fear of frost killing the plants. But for now, these wreaths will have to do. I hope you have a great day. Thank you so much for stopping by. Previous Post: « Snapdragons and a winner…. Ah, I love your wreaths! 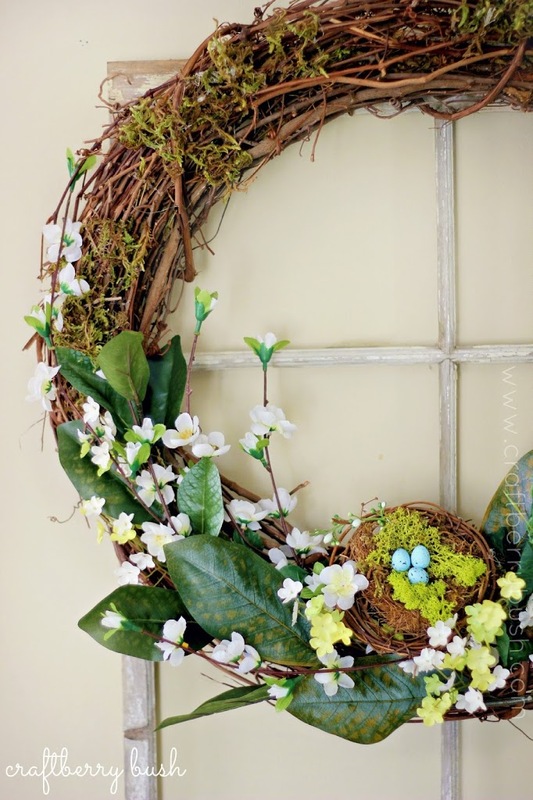 I always see the faux flowers at the Dollar Store and wonder how to make them less faux-ish. I might have to try this myself! 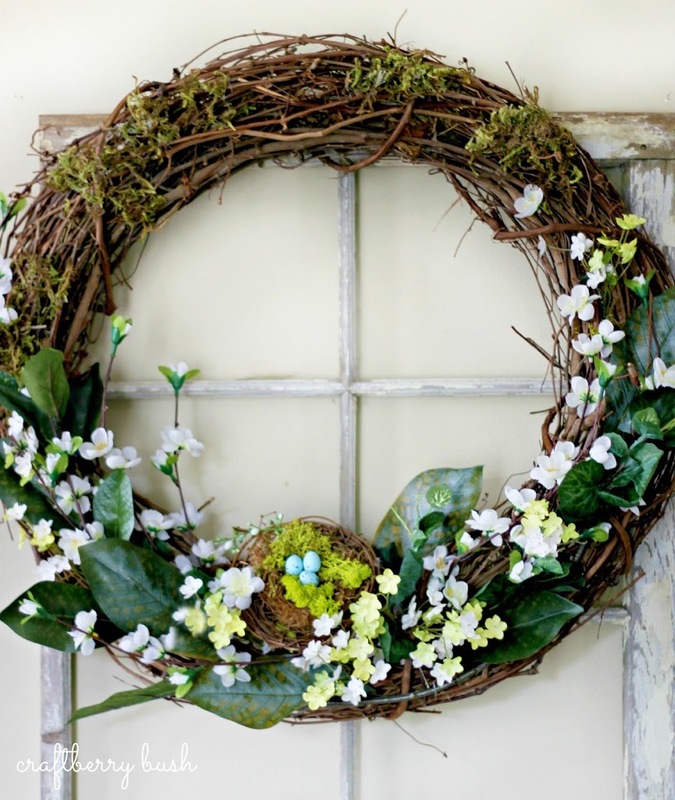 You work miracles with faux flowers….beautiful wreath, so fresh and springy! 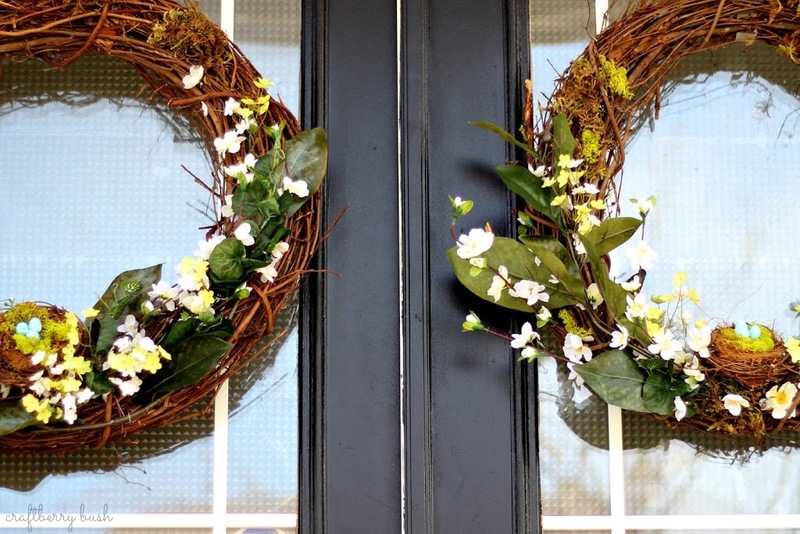 Your wreaths look so pretty! 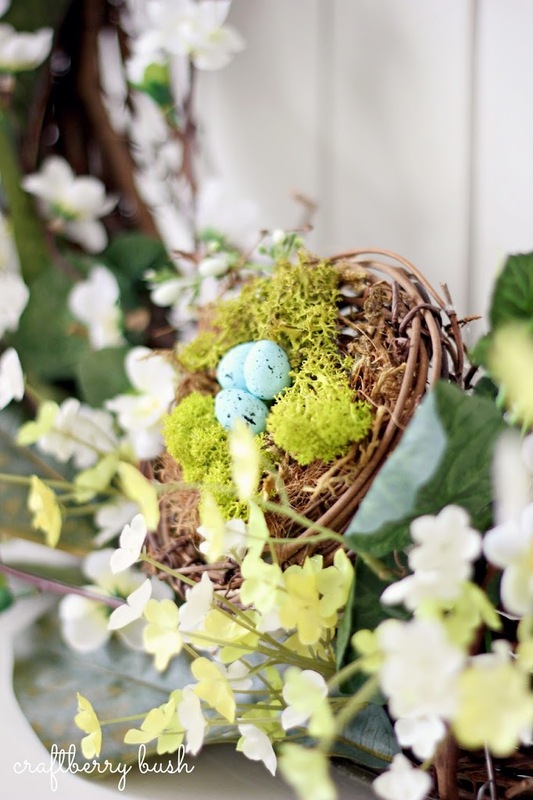 I’m anxious to get flowers planted for our front porch too… soon! 🙂 Hope you have a great week.